Ohio Revised Code Chapter 3718 and Ohio Administrative Code Rule 3701-29-03 requires the registration of sewage treatment system installers, service providers and septage haulers with each local health district where they perform work. Contractors must apply for a separate registration for each category of work performed prior to conducting work in a health district. (FFF) “Installer” means any person who engages in the business of installing or altering or who, as an employee of another, installs or alters any sewage treatment system or gray water recycling system. (OOOO)“Service provider” means any person who services, monitors, evaluates or samples, but does not install or alter, sewage treatment systems or gray water recycling systems. For the purpose of this chapter, service provider shall include a homeowner servicing his own system to meet the requirement of a service contract for product approval or demonstration of maintenance for an O&M program established in accordance with rule 3701-29-19 of the Administrative Code. (JJJJ) “Septage hauler” means any person who engages in the collection, transportation, disposal, and/or land application of domestic septage. A septage hauler may also evaluate and report on the condition of any tank they are pumping. Sewage treatment systems contractors are required to take a state exam prior to registration for 2015, and new contractors are required to take the exam prior to registration after 2015. All sewage treatment system contractors are required to obtain a state surety bond and provide proof of general liability insurance in order to register for calendar year 2015 and each year thereafter. Effective January 1, 2016, all contractors must submit proof of obtaining six (6) hours of continuing education (CE) for registration each calendar year. Please see the information below and the navigation links to the left for more information. The sewage contractor registration fact sheet provides a complete description of the registration requirements. The test is an open book test with 75 questions. Each question will indicate which rule the question is related to. A passing score is 75 percent (answering 56 questions correctly). A copy of the sewage treatment systems rules will be provided at the test site if you do not have a copy. A minimum of three hours will be provided to take the open book test. 1. Local Health Districts may choose to offer the test. 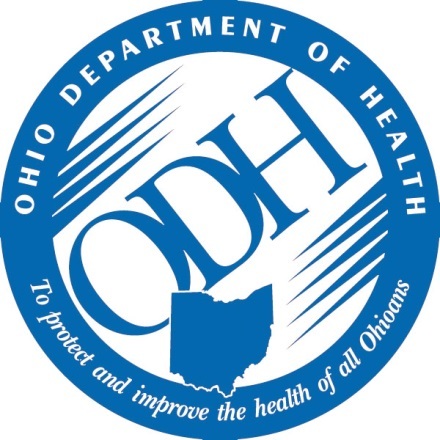 Contact the local health district where you register for information about tests they will be proctoring or contact the Ohio Department of Health. Local health districts, that are proctoring open tests, should notify the Ohio Department of Health of test dates and locations at least one (1) week prior to the date of test. 2. OhioTRAIN – an Ohio Department of Health training website that offers on-line training and certificates. 3. Operator Training of Ohio (https://www.otco.org/) – a private non-profit training organization that trains water and wastewater treatment plant operators, and other contractors. "PLEASE NOTE: OTCO administered the STS exams for ODH in 2007. OTCO will also proctor open paper exams at four locations to be announce between December 15, 2014 - January 31, 2015. There will be a fee of $65 for the OTCO proctored paper exam. Please use this link to register for one of the open paper exams proctored by OTCO. (https://www.otco.org/)"
(614) 268-6826 (office) (937) 215-6554 (cell)"
4. Ohio Department of Health, Bureau of Environmental Health, Residential Water and Sewage Program has scheduled test dates in December 2014. A score of 75 percent or greater will be a passing score. A certificate will be provided upon passing the test. This certificate will be required to register. When proctoring tests, local health districts must send a spreadsheet list containing the date and location of the test, the contractor’s name, the contractor’s company name, and the contractor’s test score to the Ohio Department of Health, Residential Water and Sewage Program. The primary registrant or a company representative must take the test. Additional testing will not be required, for additional registration years, once a passing score has been received. Please contact the Residential Water and Sewage Program at the Ohio Department of Health at (614) 644-7551 if you need alternative accommodations to take the rules test. Upon registering and completing this exam, I confirm I have read and understand all of the information above in Areas 1-4. I understand when registering for this exam, "Name" legally indicates "Contractor Name". I understand and confirm that I am the person whose name will appear as the "Contractor Name" on this exam. I understand that I have five on-line exam attempts to complete the exam. I understand that OTCO will not charge a fee for this on-line exam. I understand that OTCO will charge a $65 fee if it choose to attempt the proctored paper exam. I understand the on-line exam and proctored paper exam are equivalent. I understand that my results and my certificate (with a score of 75% or greater) will be sent via the email address I provided upon registration and to the Ohio Department of Health (ODH). I understand to print a full size copy of my certificate I must first download the certificate first then print from the downloaded copy. The reference material for this exam is the Ohio Administrative Code 3701-29 - Sewage Treatment Systems Rules - January 1, 2015. Select a Match I have downloaded a copy from OTCO. I have downloaded a copy from ODH. I received a copy from my Local Health Department. I have a current copy another source. None of the above.